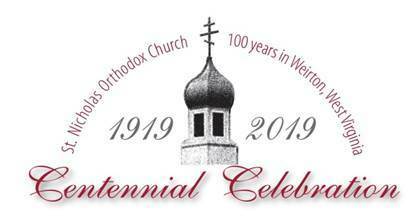 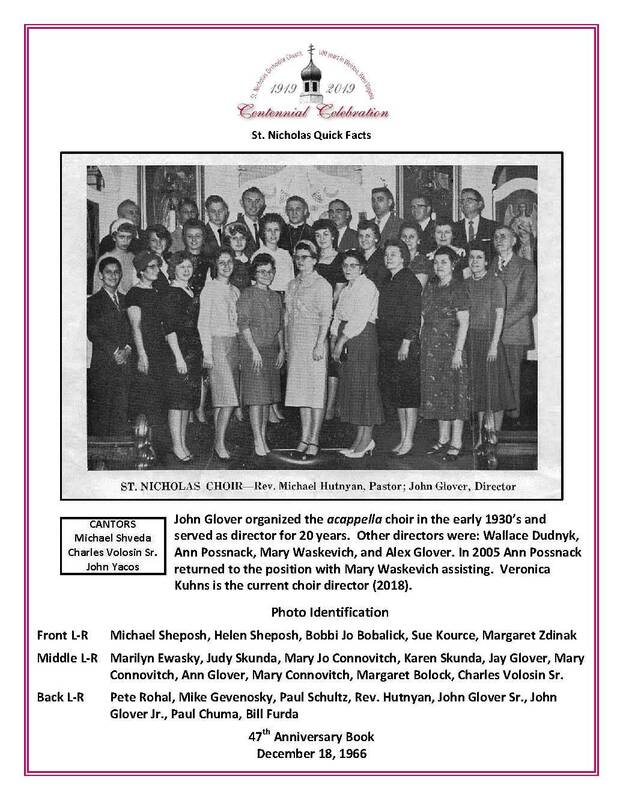 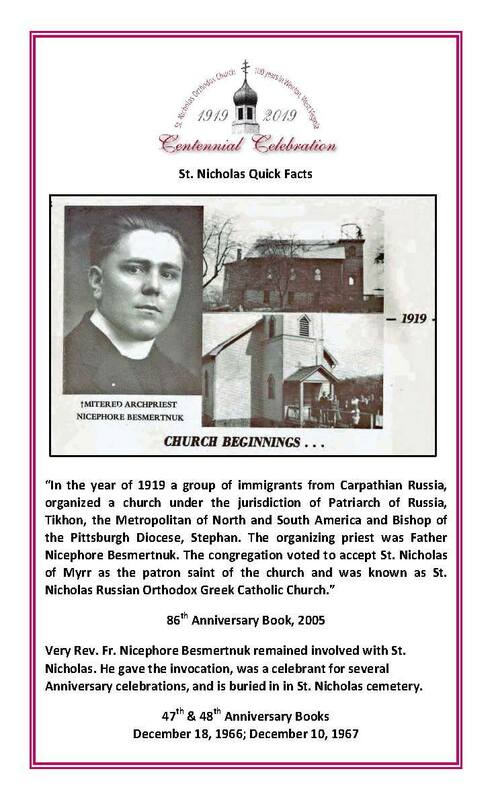 On October 12 & 13, 2019, St. Nicholas Orthodox Church will celebrate its 100th Anniversary. 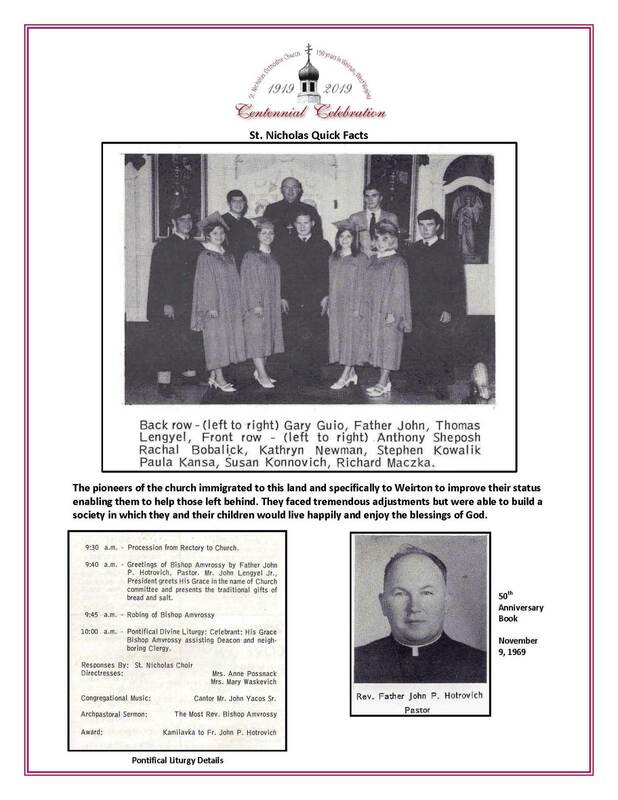 An open invitation is extended to former church members no longer living in the area to attend. 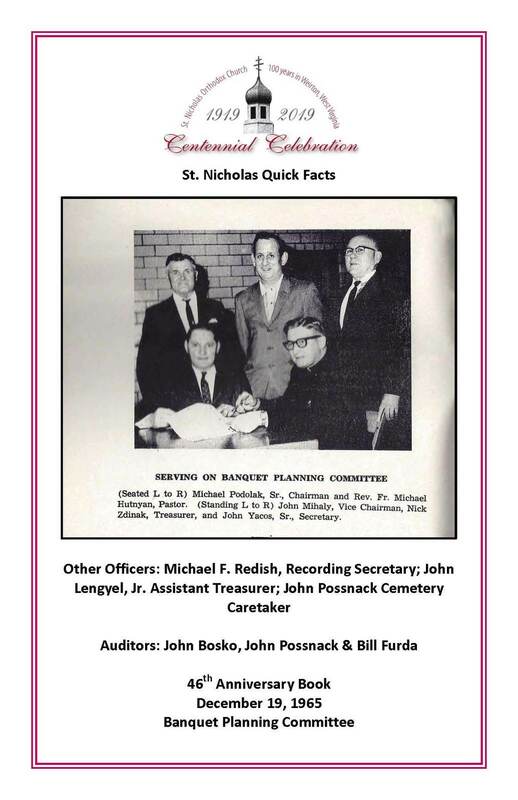 Details will be posted as more information becomes available.